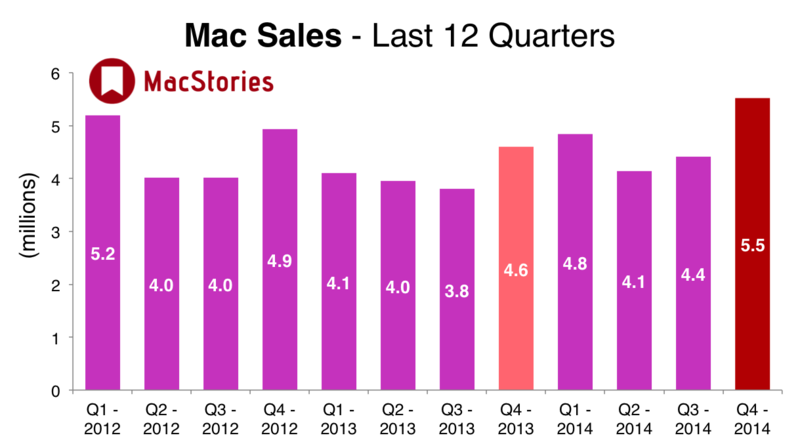 Apple has published their Q4 2014 financial results for the quarter that ended September 27, 2014. 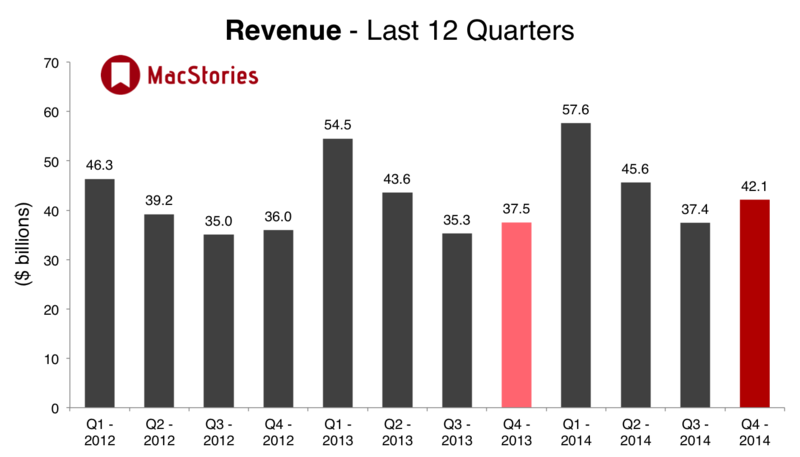 The company posted revenue of $42.1 billion. 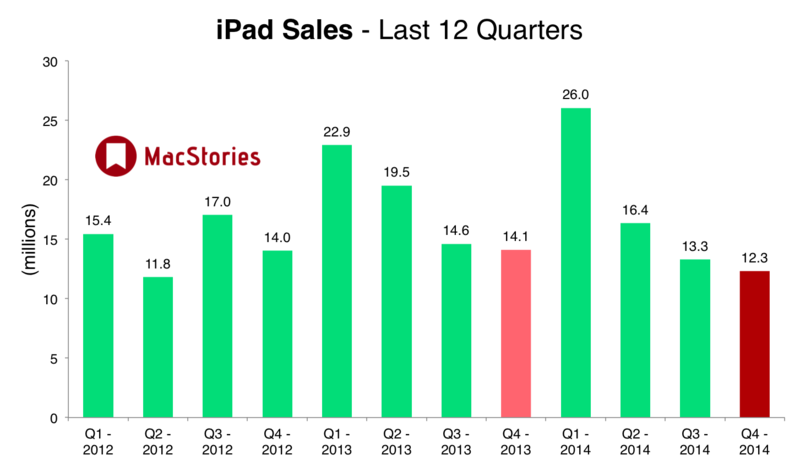 The company sold 12.3 million iPads, 39.3 million iPhones, and 5.5 million Macs, earning a quarterly net profit of $8.5 billion. 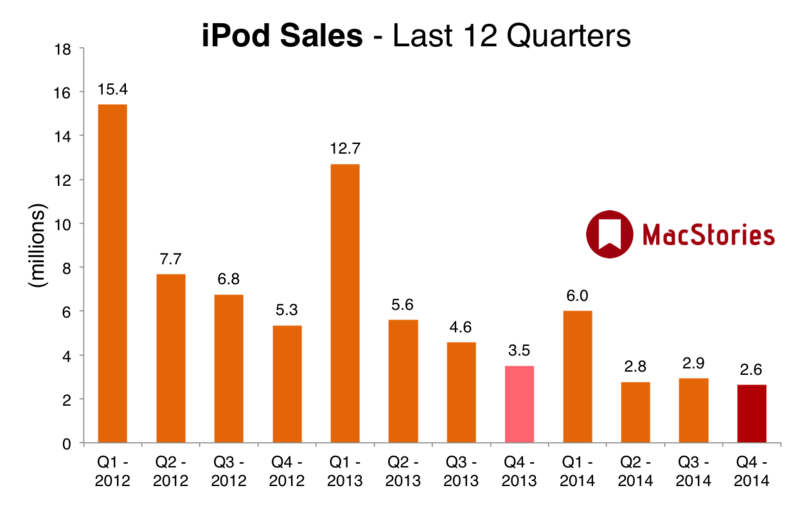 As noted by Bloomberg, starting next year, Apple will create a new 'Other' category for their financial results which will combine the sales of the new Apple Watch, iPod, Apple TV, Beats products and other accessories. The move will make it difficult to break out exact sales figures for the Apple Watch and is also different to how Apple treated the iPhone and iPad which from the first quarter received their own category. 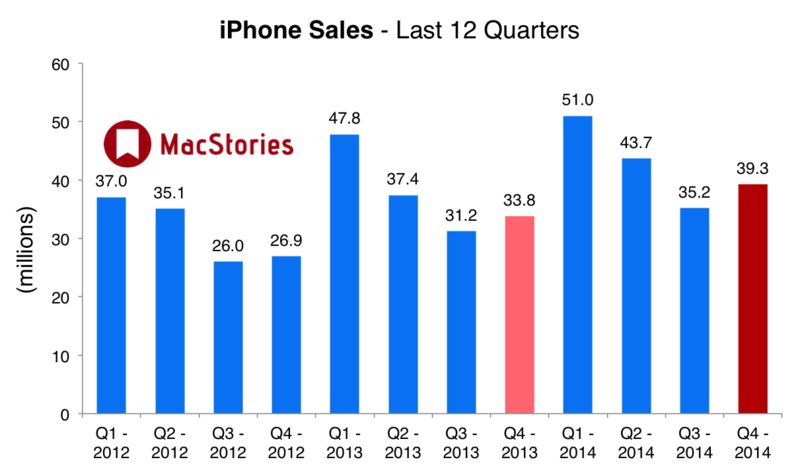 Notably, Apple's gross margin was slightly higher at 38%, compared to 37% in the year-ago quarter. 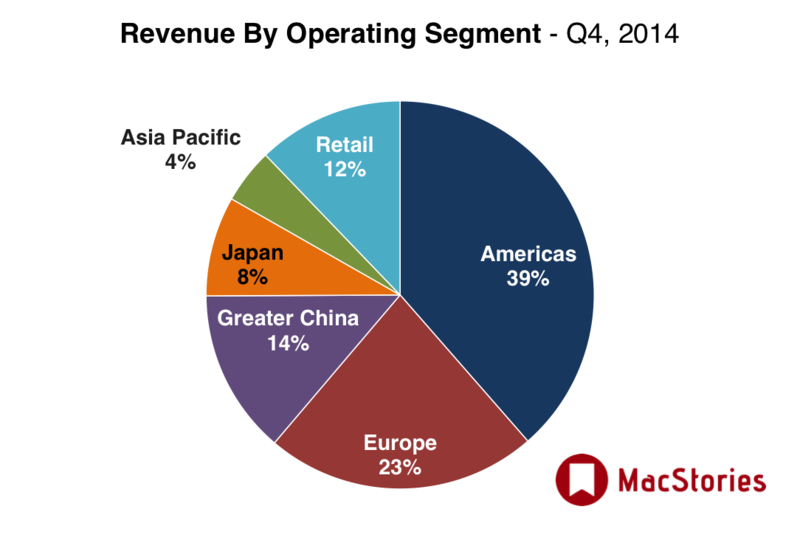 International sales also accounted for 60% of all Apple's revenue. You can see all our usual earnings call charts below.